Micro Ridge has been in the business for nearly four decades and was founded in 1983. One of their notable achievements included being the first to introduce portable lumber size control systems to the timber industry. The company is also a renowned designer and manufacturer of a broad variety of wireless and wired measurement collection solutions. Some of these solutions include MobileCollect wireless, WedgeLink hardware, and more. You can also rest assured that their products are made in the United States and support a wide spectrum of height gages, micrometers, scales, digital indicators, and more. 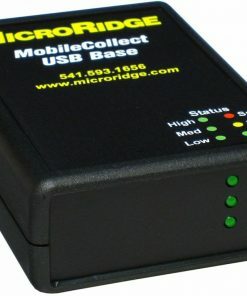 At Willrich Precision, we carry the latest Micro Ridge mobile collect bases and more. The wireless mobile collect bases found in Willrich Precision supports the measurement of most digital and RS-232 handheld gages, including digital indicators, micrometers, and more. That’s why you will realize that many of the products we stock in our inventory are well suited for almost all types of industrial applications. With more than four decades of experience and partnership with leading brands in the metrology, inspection and gaging industry, we are constantly in search of products that are built to last and can deliver the performance that are expected from clients. To get expert assistance from our well-trained staff, simply call us at 866-945-5742 or email us at sales@willrich.com today.